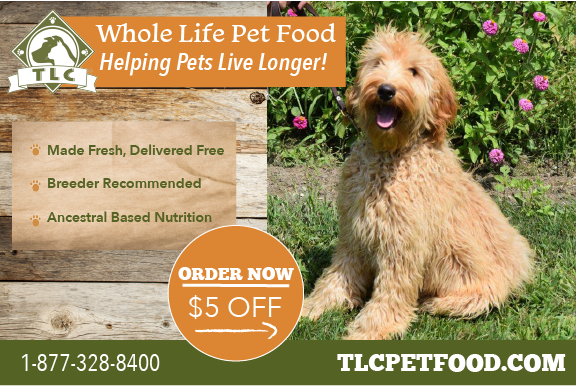 The heart of a Labrador and the smarts of a poodle, all in a big, beautiful allergy/asthma-friendly package! 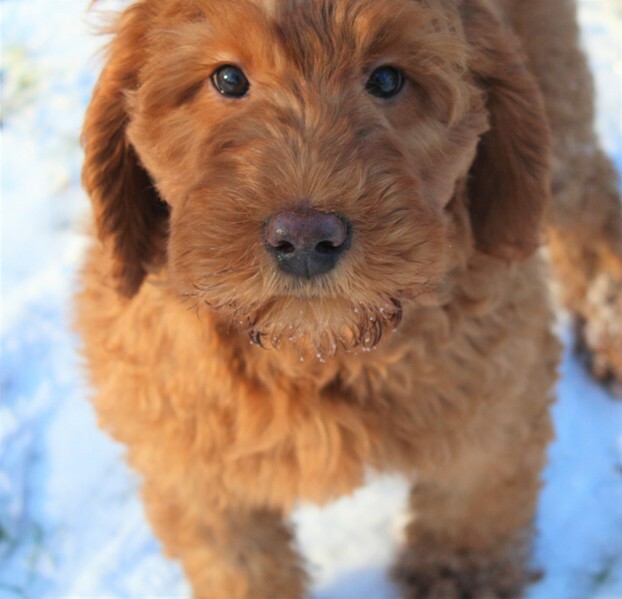 We at Aussie Labradoodle believe we are breeding the most loving, healthy, and reliable family pets around! Of course, we may be a bit biased :). Beginning with our first imported Australian Labradoodle, Macey, from Tegan Park in Australia, we've been doing our best to improve this breed since 2000! Initially bred in 1970 in Australia to provide assistance dogs for folks with allergies, the Australian Labradoodle became a beloved family pet that offered the best of both worlds: a large family-oriented people pleaser, highly intelligent, with low shedding to no shedding and no doggie odor. Parent breeds included the Labrador, Poodle, Portuguese Water Dog, and two types of Spaniels. The Australian Labradoodle dog is perfect for people who suffer from asthma (nearly 100% success) and allergies (nearly 95% success), and for people just wanting less mess and odor in their homes. We use only the top quality Australian and American multigenerational lines in our breeding program. We take health testing seriously, and were among the first to test hips and elbows in many lines coming out of Australia. And we are absolutely thrilled with the outcome! Although we cannot foresee every problem that could present itself, we are doing all we can to minimize the chances of health problems in our doodles. We also offer a two-year health guarantee against genetic health issues to give you peace of mind. 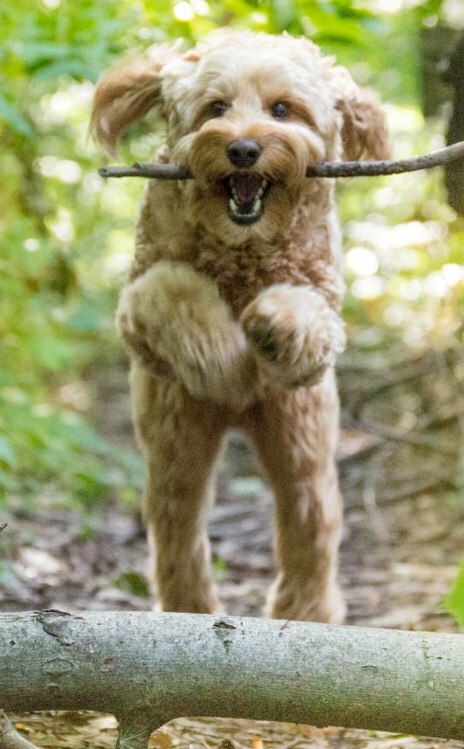 The foundation of our Australian Labradoodle breeding stock, Macey, was purchased in whelp from Tegan Park in Australia. She blessed us with gorgeous chocolate and cream labradoodle babies and has since retired. Two of her chocolate offspring, Kona and Bella, became the foundation of our breeding stock. We've been blessed since 2000 to be involved in breeding the amazing Australian Labradoodle, and have pups in all sizes (minis, medium, and standards) and colors. We breed for the fleece coat, both wavy and curly, and occasionally have a puppy with a wool coat. Temperament is essential in all breeding dogs, and we have produced many emotional support and therapy doodle. WE WOULD LOVE TO HELP YOU FIND THE PERFECT DOODLE BABY FOR YOUR FAMILY!! !